Over the years we have been asked about different ways to protect and/or display the tin signs for sale in your stores. 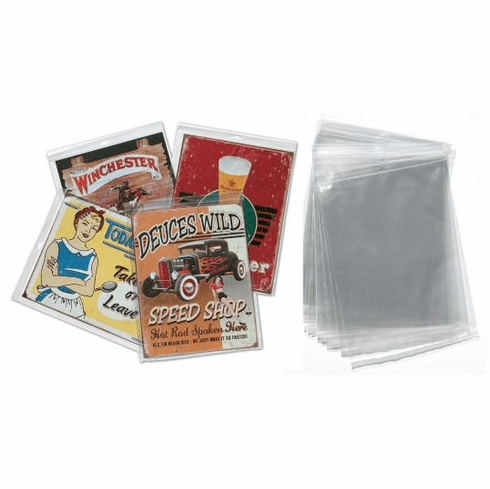 Because of this, we are now offering a simple poly bag in which you can slip the signs into. The bags are sold in packages of 50.